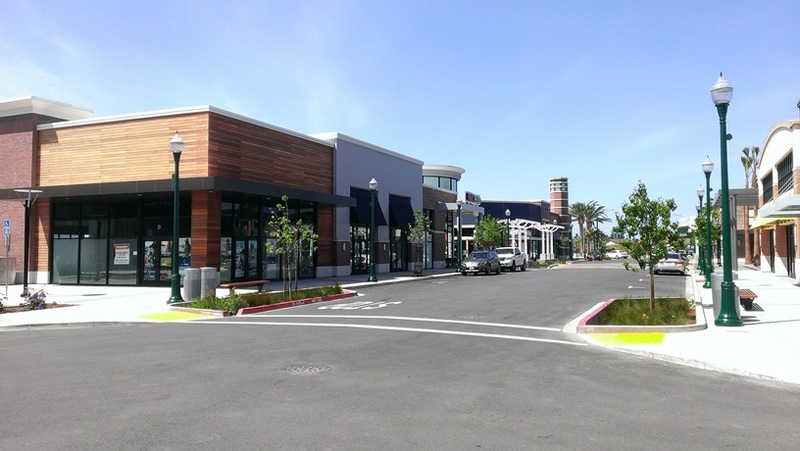 Alameda Landing Retail Center - Barnum & Celillo Electric, Inc.Barnum & Celillo Electric, Inc.
Barnum and Celillo Electric Inc., in partnership with The Whiting-Turner Contracting Company and Midstate Construction, completed the Alameda Landing Retail Center. This unique retail development included the installation of over 7 Megawatts worth of power in over 107,000 square feet of retail space, spread across 9 separate buildings. This work not only included the retail shells but also encompassed three separate family friendly decorative plazas, one of which will be dedicated to 7 time Major League Baseball All Star Wilver Dornell “Willie” Stargell. The family friendly plazas and upscale retailers will be a beacon of class and convenience on the Alameda Island. BCE is honored to be a part of this dynamic team that provided the construction for the new Alameda Landing Retail Center.